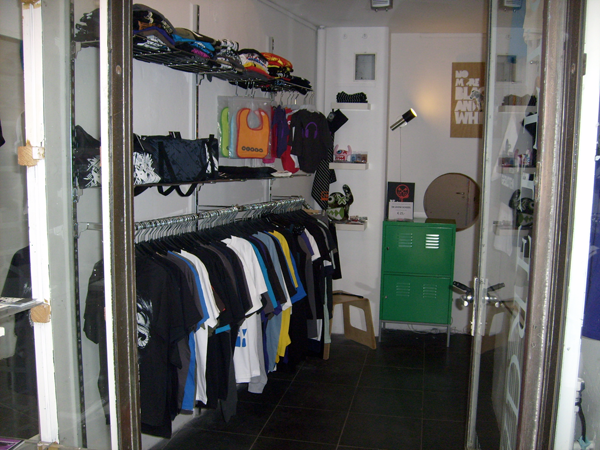 The Tegendraads minishop is an independent shop where it is possible for a reasonable amount limited t-shirts to buy. These t-shirts are designed by various young designers from the Netherlands. 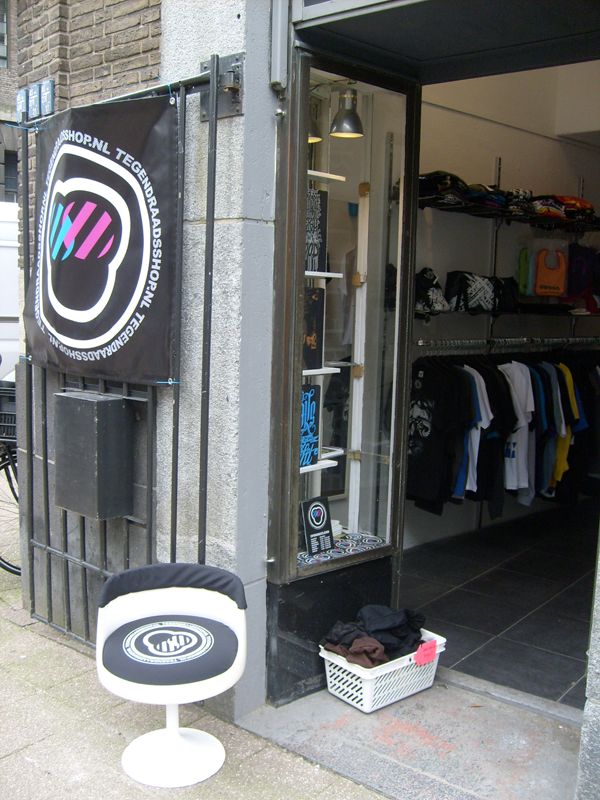 The Tegendraads minishop is an initiative of the Leiden/Rotterdam collectives Wot Nxt and Dstruct. 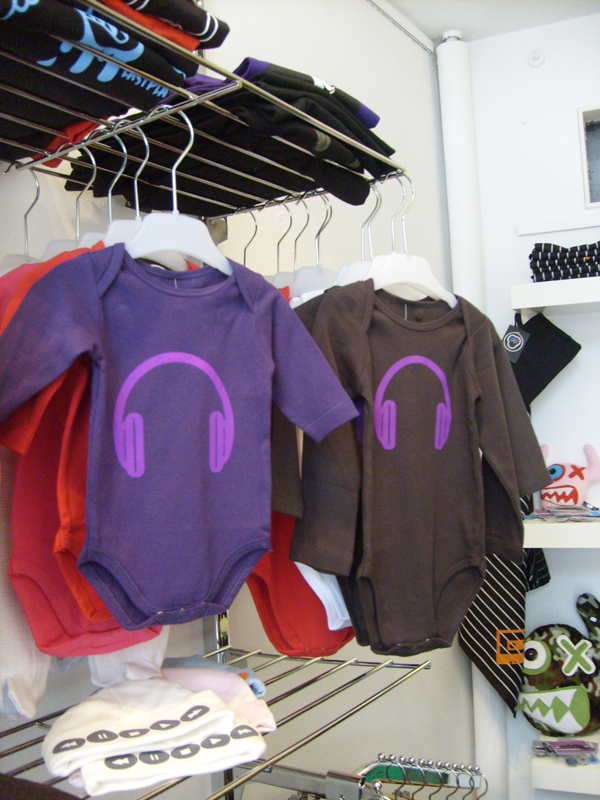 The designers who collaborate in the shop on one way or another a bond with one or both collectives. The Minishop is part of the ROT(T)TERDAM project of Roodkapje Foundation, every 6 weeks runed by an young creative talent or collective.